On today’s bonus episode from EntreLeadership Summit, we’re featuring a Q&A session with one of our favorite leadership experts—Simon Sinek. In addition to his lesson, Simon took the time to answer queries from our attendees. Once off the stage, Simon continued sharing his insights in a special conversation with podcast host Ken Coleman. We’re wrapping up today’s episode with an interview with Josh Hayes, a top Dutch Bros. Coffee franchisee. Dutch Bros. is known for its amazing coffee and incredible culture. Josh shares how he keeps his team motivated and fired up to win. 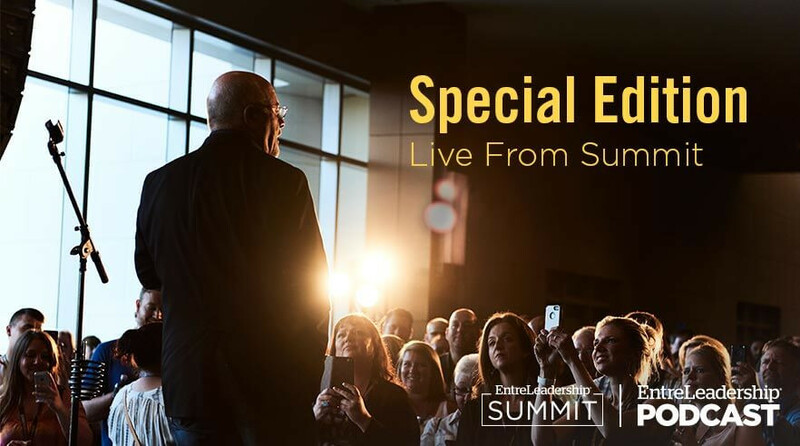 We’re broadcasting live from EntreLeadership Summit in Orlando, Florida, this week. We start with our own Dave Ramsey’s opening remarks on the power of intentionality and an additional interview with Dave by podcast host Ken Coleman. Also on tap, Ken interviews two EntreLeaders who are sharing their stories. Today is just the start of this special week. Check out new episodes each day and take part in the fun!